There is nothing more terrifying for a tech-lover than that moment of horror when you lose grip on your phone as it comes out of your pocket. Cases like Otterboxes can help, but even then, the impact can be too great to save your precious expensive phone. 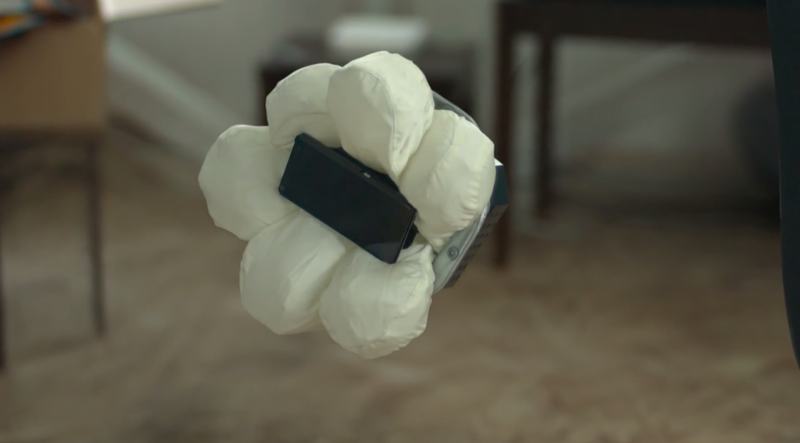 What would it look like to apply airbag technology to smartphone cases? Honda shows us the magic. It would be pretty amazing if this were actually a prototype that was being worked on for the public, but as far as we can tell right now, this video is purely a viral marketing campaign for a new Honda car. Even still, it is an interesting concept to see put into the real world. The device’s airbags are triggered by the quick movement of the phone towards the ground and cushion the blow when it gets there. Whether fake or not, it’s a cool idea. Would you pay to put airbags on your phone or tablet to protect it?